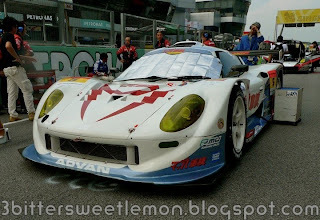 Super GT 2011 ~ What, Where, When, How? 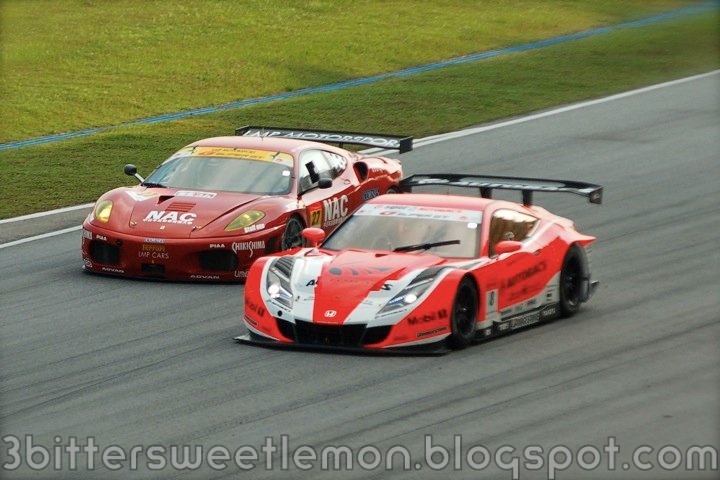 The Super GT is drawing closer and closer. Have you purchased your tickets? (1)	If you love cars, you'll be totalling amazed by the GT300 and GT500 cars. 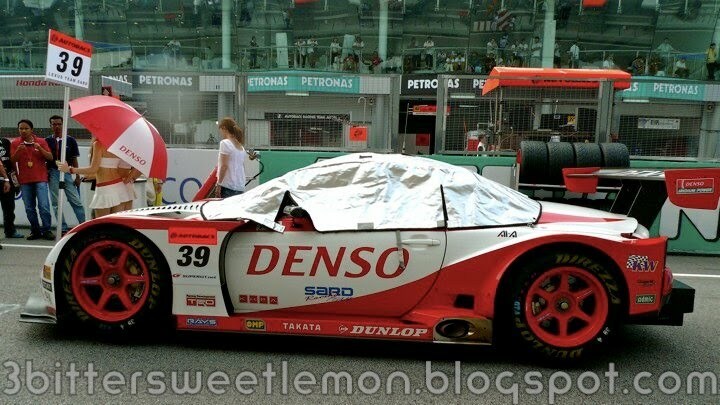 Not just the power beneath the hoods of these touring cars but the design and design of the cars itself. FYI, Malaysia is the only country outside Japan that is hosting the Super GT. 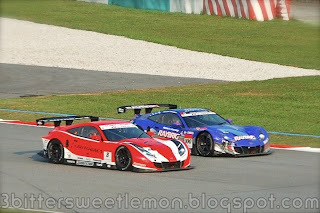 #In case you're wondering, GT300 means the car's is not more than 300 horsepower and GT500 means the car is not more than 500 horsepower. 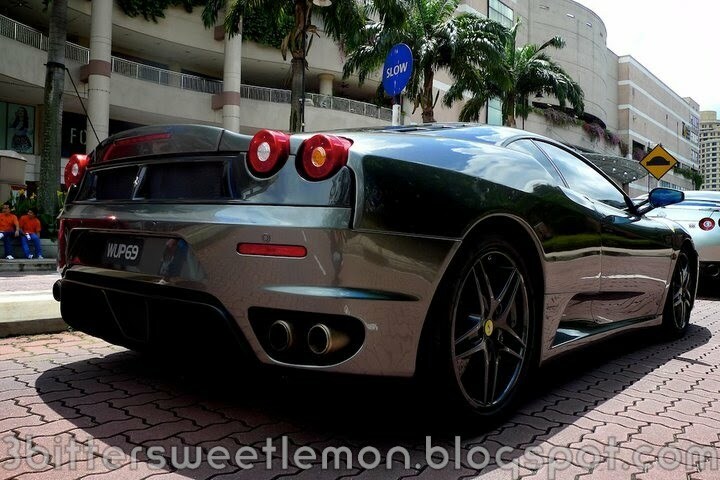 (4)	On display are over 100 exotic and supercars. 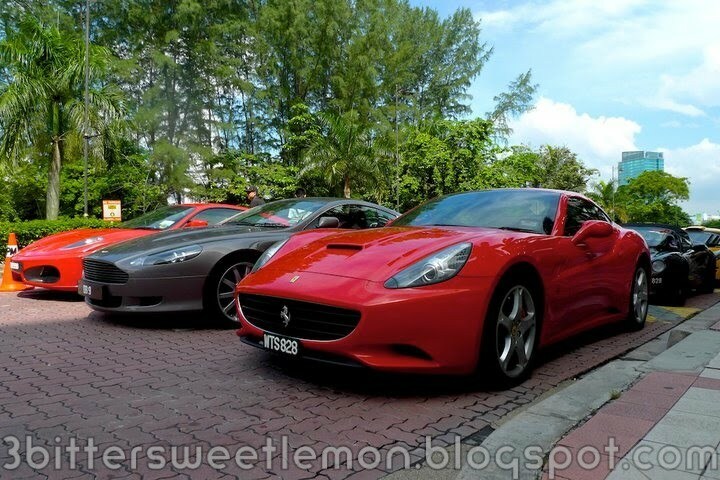 Take your pick from Ferrari, Lamborghini, Porsche, Maserati and more. 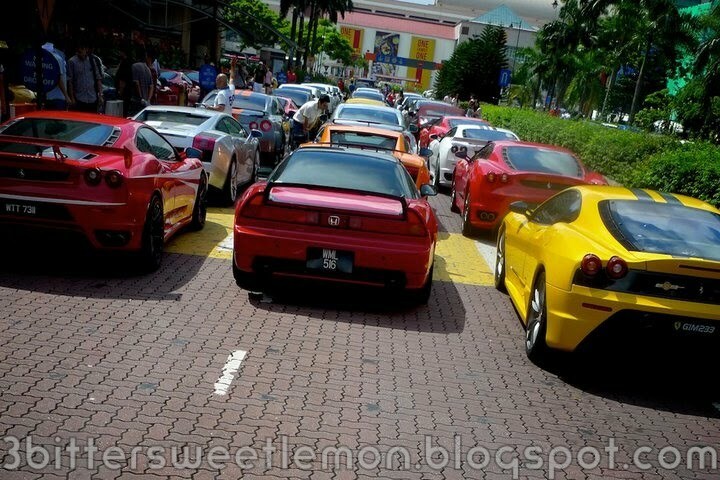 There's also Japanese cars for those who love the J factor including the Skyline GTR, NSX and more. 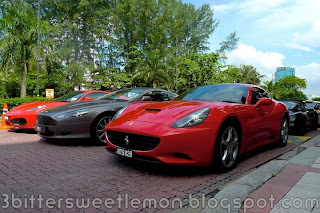 Here's some of the cars I saw at the Super GT launch. 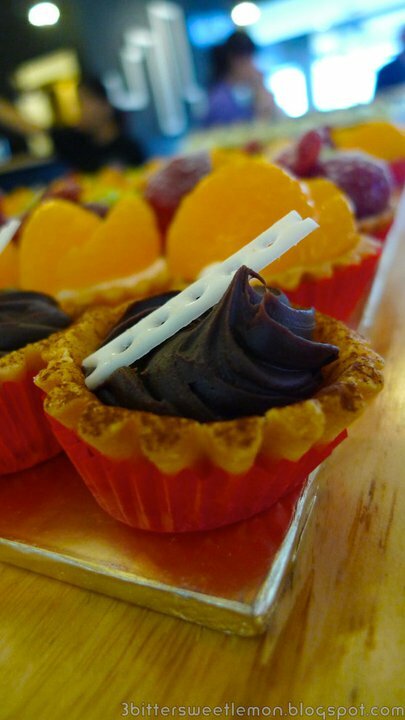 (5)	Foodies must check out the food festival this year. 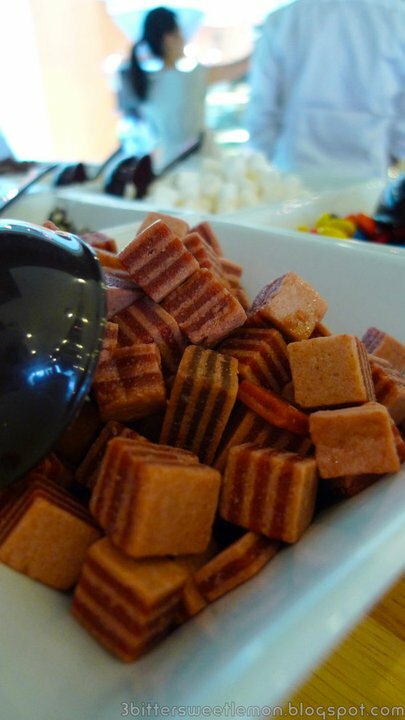 Satisfy your taste buds with Japanese, local and fusion cuisines. (6)	Super GT isn't just for the adults. Lots of entertainment in stored including Remote Control Cars, Coloring Contest, Inflatable playground and more. And the bonus this year is there is a FREE kids walkabout session where kids will get to meet and snap pictures with their favourite drivers and cars. (7)	If you love shopping and bargains, check out the flea market lined up! 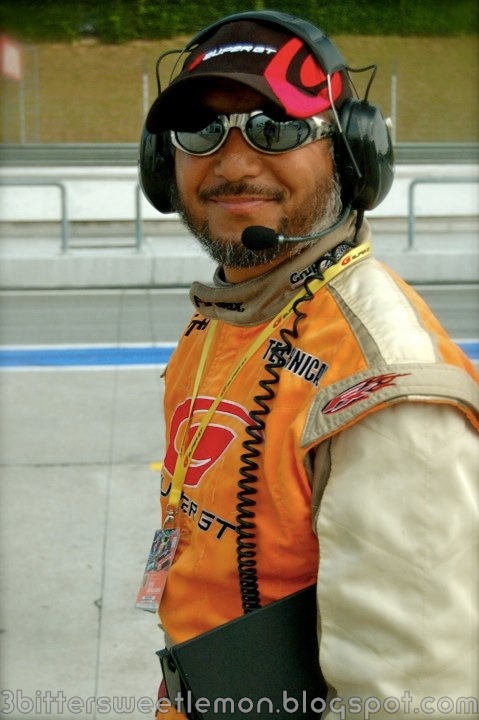 Guys, this year you do not have to watch the races alone. The wives and girlfriends will be superbly entertained with the shopping ideas lined up for them. A lot more is being planned. 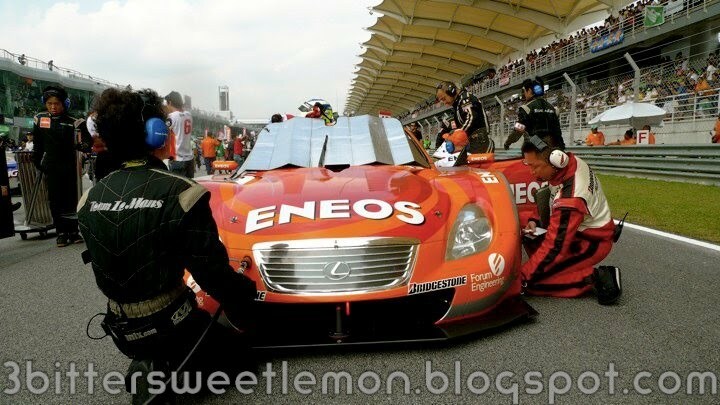 Watch this space or follow the Super GT updates on facebook. # You can also call them and have the tickets delivered to you! • All 7-11 outlets nationwide. Make your payment and the tickets will be delivered to you. •	SEONG PENG AUTO ACCESSORIES & AIR COND SERVICE CENTRE. And how much are the tickets? •	Family pass (2 adults and 2 children under the age of 12) at RM176 (early bird) / RM200 (regular price). And for now, when you purchase 2 early bird tickets @RM88 each, you'll get a limited edition cap and tshirt FREE. Songket - one of my fave fabrics is handwoven in either silk or cotton with gold or silver threads. I love wearing them. I love using them as my of my home decors. 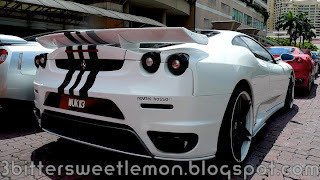 Now, Songket bring a new meaning to me. 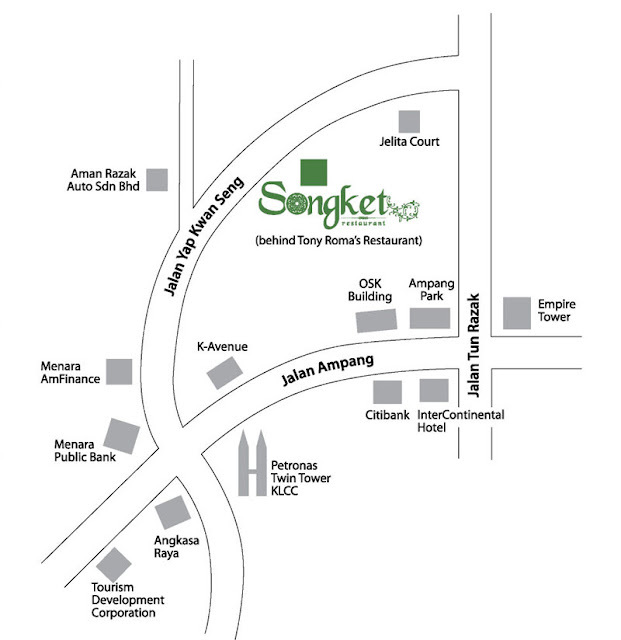 Check out Songket Restaurant & Bar. Conveniently located in the heart of KL centre along Jalan Yap Kwan Seng, this quaint restaurant is happily "hidden" behind Tony Romas. Because she's happily hidden, she remains nicely quiet and peaceful away from the hustle and bustle of KL city yet being nicely nestled in the middle of KL city. Don't take my word. 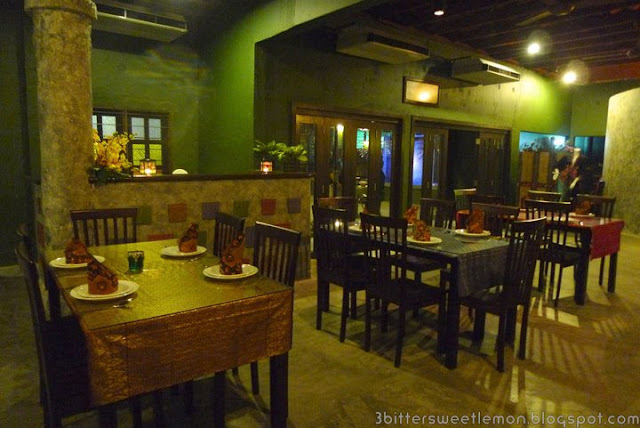 Come visit and have a meal (open for lunch and dinner but during the night it feels like I am back in a kampung). Coupled with its warm ambience, this makes the perfect place for your business meal or in my case I had a lovely time dining and chatting with pals over some wine (Thanx Tony for the lovely dinner and company). Started off with Aneka Pembuka Selera while we waited for our other dishes to arrive. 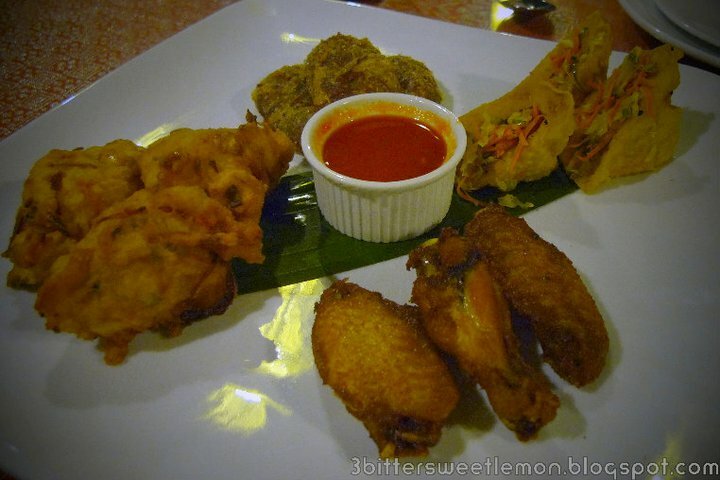 This platter consist of cucur udang, kepak ayam, popiah goreng and tauhu sumbat. However we opted to replace the popiah goreng with pegedil. I've always loved pegedil and this is one of the yummiest I have had for a long time. Here the pegedil is a mixture of potatoes and minced chicken. Vegies are always a must. 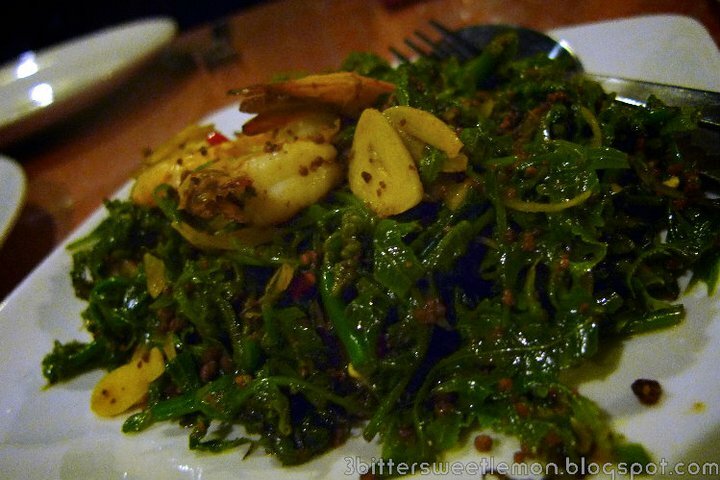 We opted for pucuk paku goreng which was a lovely stir fried with shallots, chilly and garlic. Although for the strangest "I don'y know why" reason, I thought I actually tasted desiccated coconut in it. 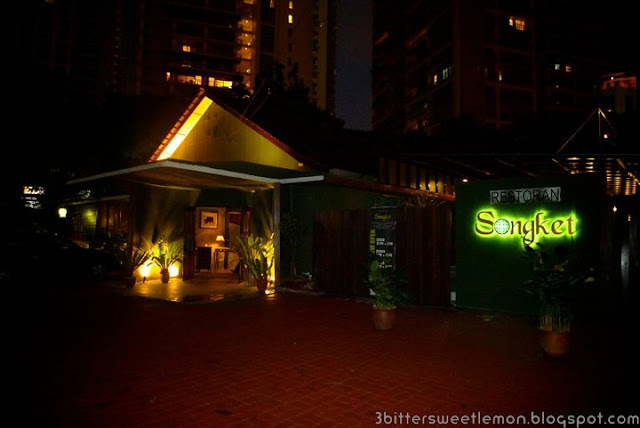 I must ask Tony the next time I swing by Songket. 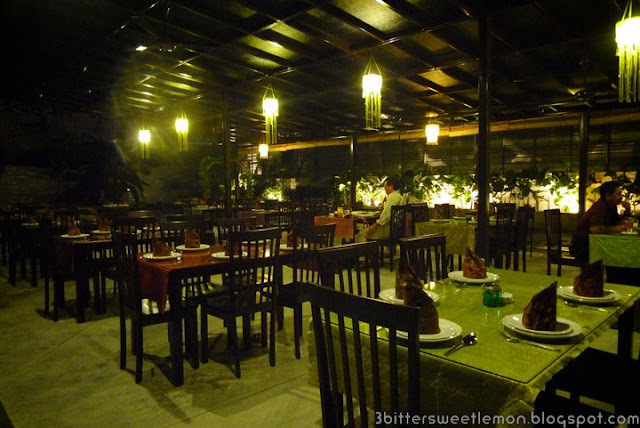 And if you love meat, the 2 must eat here are the rusuk panggang and the kambing panggang. 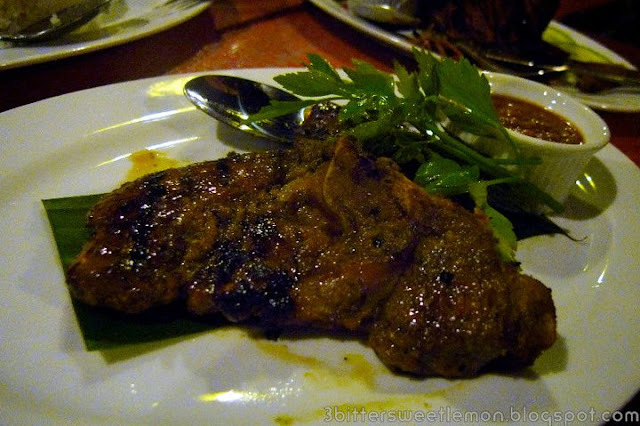 Rusuk panggang is a well marinated chargrilled ribs served with pegedil. 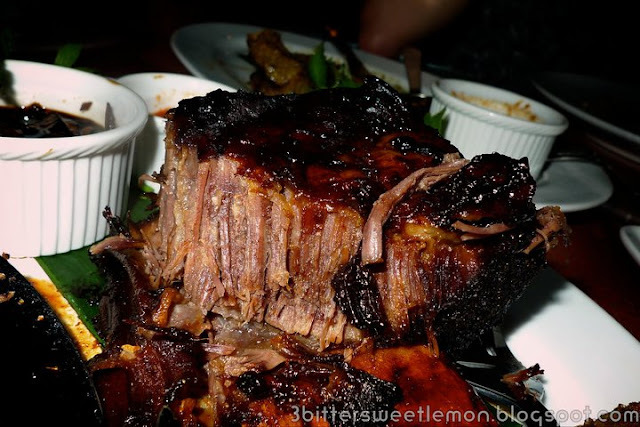 Served with a house blend of a spicy soy sauce and sambal belacan, I still preferred the ribs on its own with its own marinate. Because it is chargrilled, the meat retained its juice. The kambing panggang is so sinfully yummy that given the chance (I was recovering from my bad throat then when we ate at Songket), I would have requested for another serving of this awesome chragrilled leg of lamb. Dip it into the peanut sauce served with it although I still liked the lamb as it was. 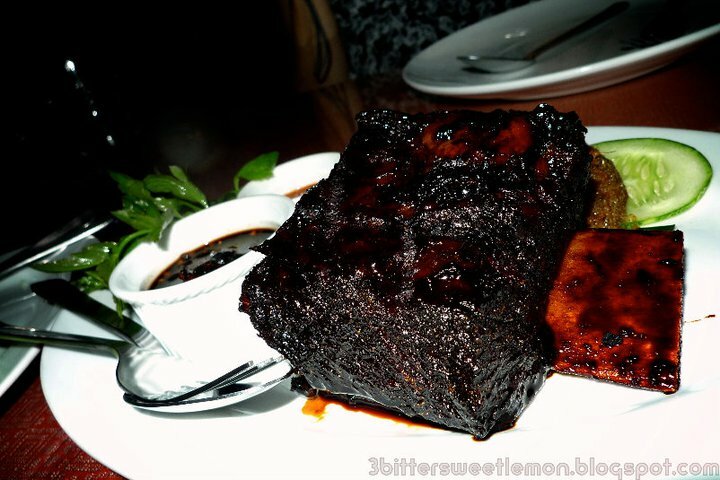 The marinate was subtle yet the "lamby" taste wasn't overpowering. I am not much of a coconut person. So I normally stay away from curries that contain coconut milk. However this dish of Kari Udang Raja had me wanting more. 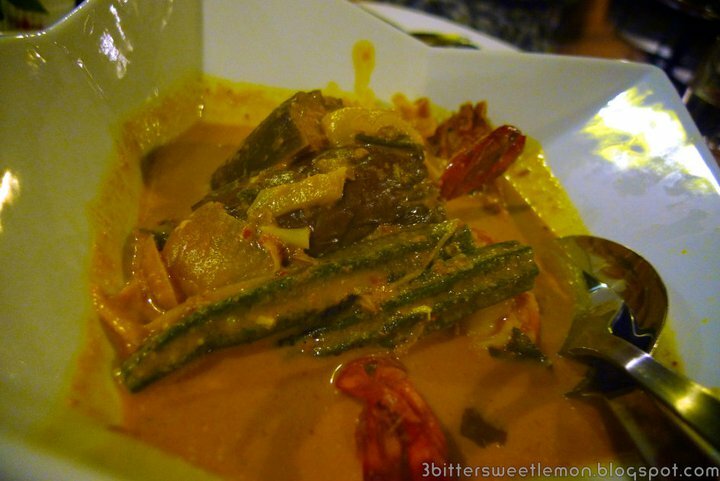 The natural sweetness of the king prawns and coconut milk blended superbly with the choice of spices. 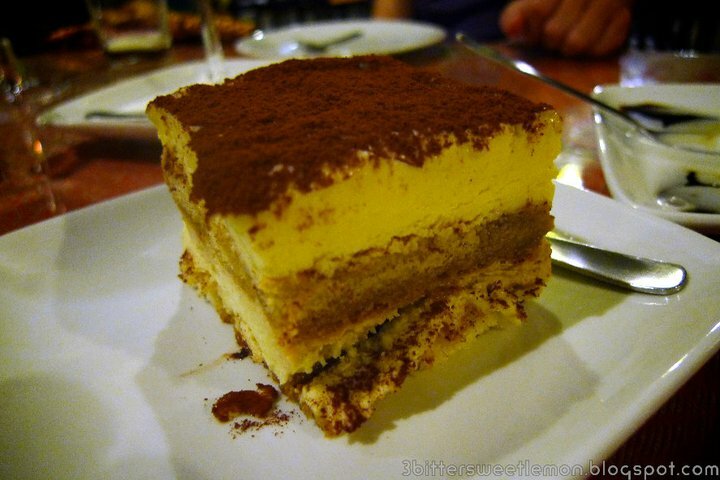 With such lovely dishes, it is hard to not carbo load here. Rice does not stop at white rice here. So we opted for the nasi lemak pandan and the nasi minyak. The nasi lemak pandan is rice cooked with coconut milk with a delightful pandan aroma. 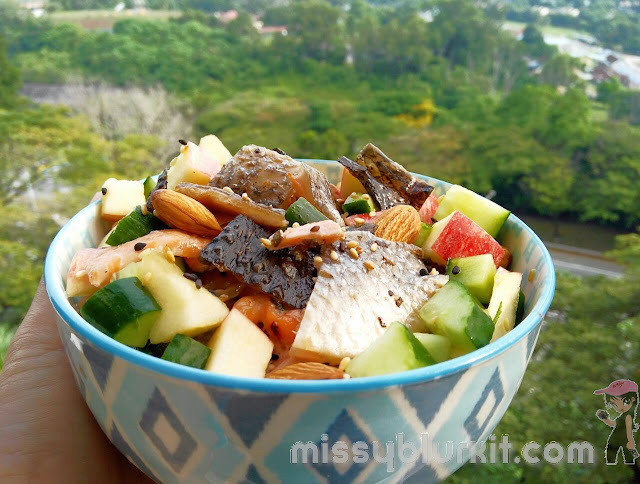 It is served with some anchovies (ikan bilis), peanut and sambal. 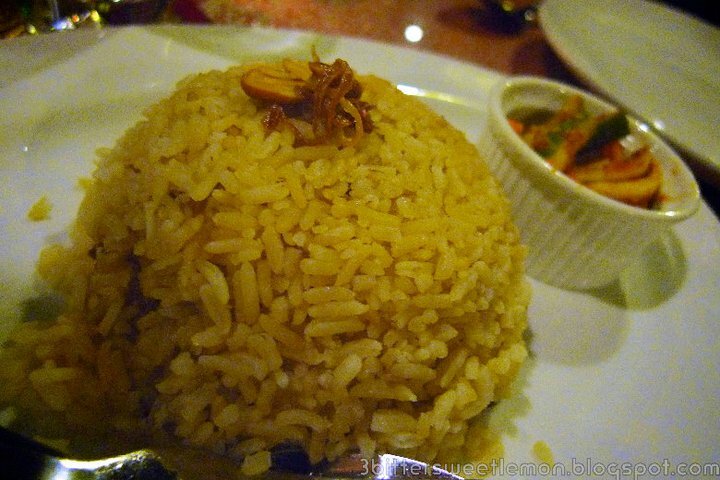 Nasi minyak is spiced rice served with some acar (tangy crunchy pickled vegetables) on the side. Was quite tempted to try the nasi kerabu and nasi goreng kampung (my all time fave). However will leave it for another time. Done with dinner, we opted to rest our stomachs a little. 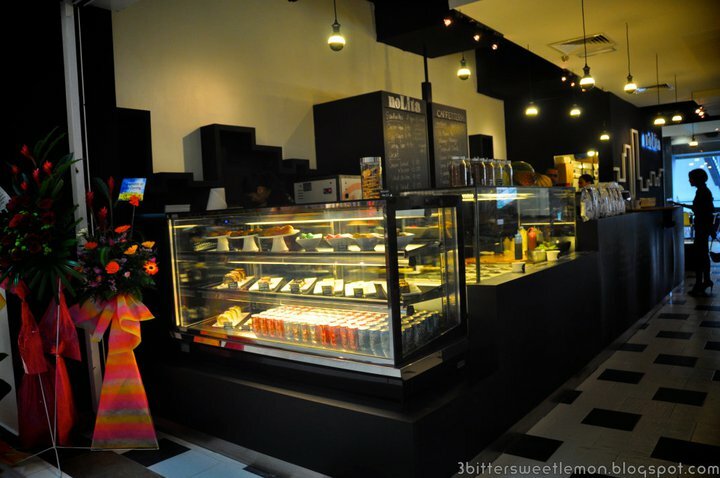 Took a walk around Songket. 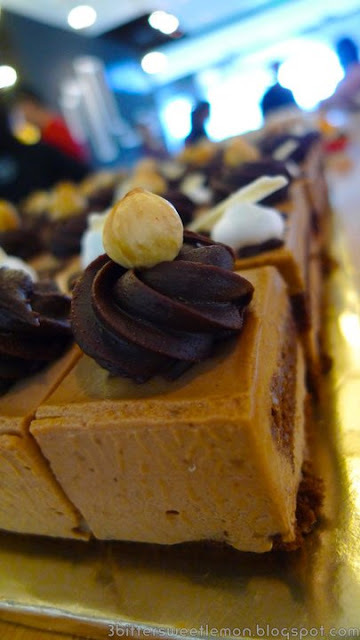 After a little walk, we were still quite stuffed to start on desserts. So we opted to rest a little longer. 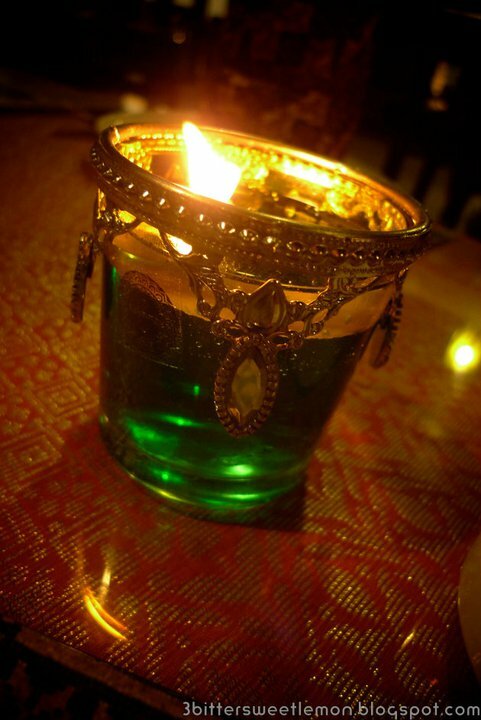 Unlike many other places, Songket Restaurant offers its diners a Malay cultural performance everynight (weekdays) at 9pm. 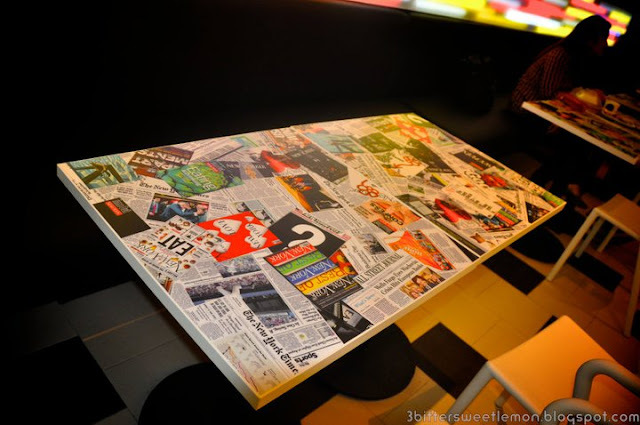 Diners can expect a repertoire of dances from the different states in Malaysia including Mak Yong, Zapin, Joget and more. And if you're game, you can certainly join the dancers for a Joget Malaysia too:D And this is indeed a good place to bring our foreign friends to experience Malay food and its rich cultural heritage. 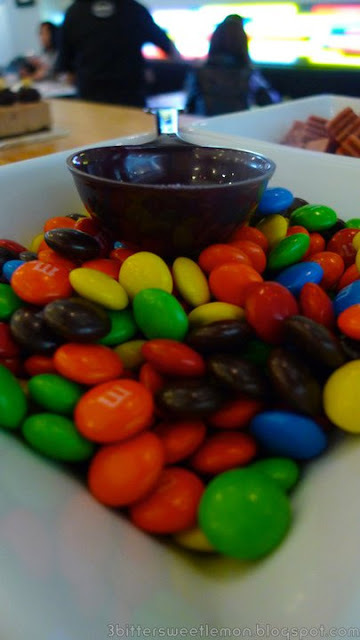 Finally we were all ready for dessert. There was 8 items to choose from so we opted for the unique ones such as the durian tiramisu and the tapai pulut. 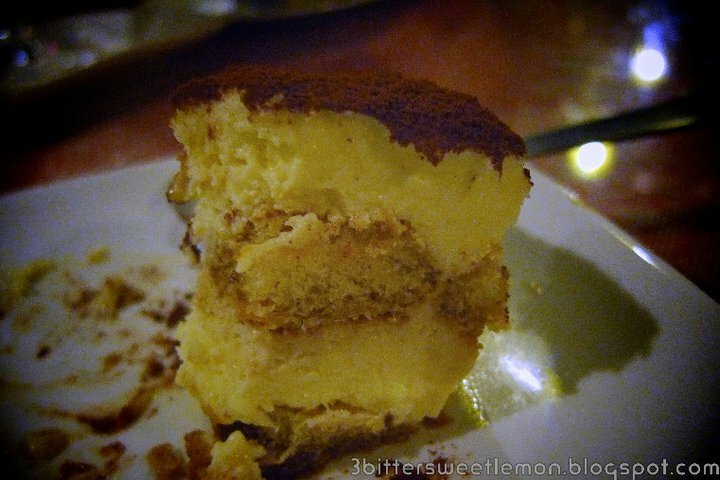 The durian tiramisu is made with fresh durians. I asked Tony what happens if its not the durian season? 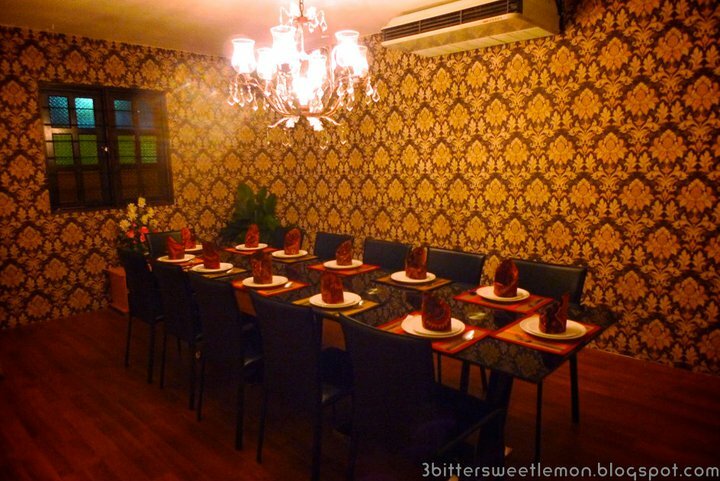 And at Songket, the durians are kept frozen in the freezer. Honestly, this is a good idea. At least you have durian rather than no durians or worse still places that resort to durian essence or flavourings. The tapai pulut is a sweet dish of fermented glutinous rice served with a scoop of ice cream. Absolutely delightful, the fermented glutinous rice was easy and light. 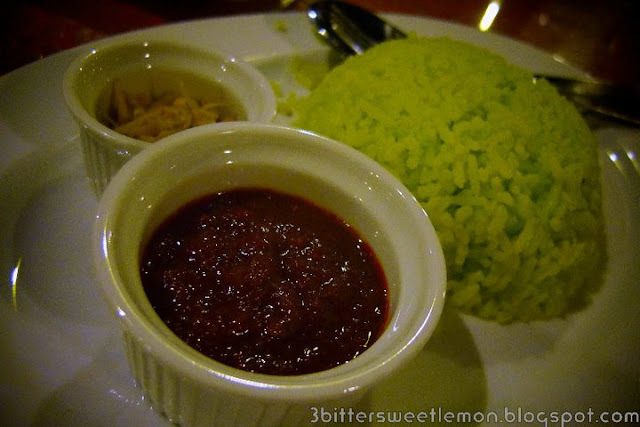 And it did not give me any heartburn (which I normally get after any glutinous rice meals). 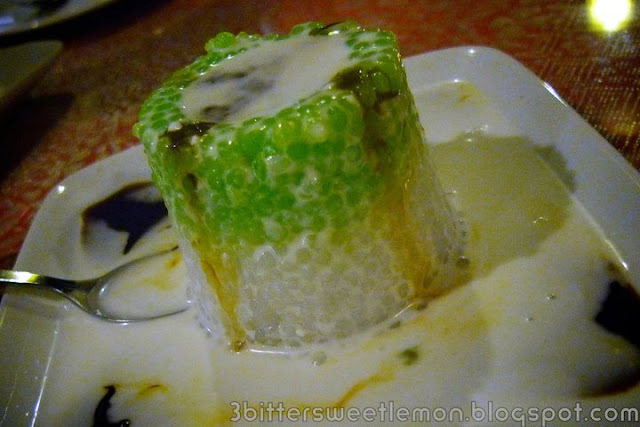 Sago gula melaka is a common dish found in many places. 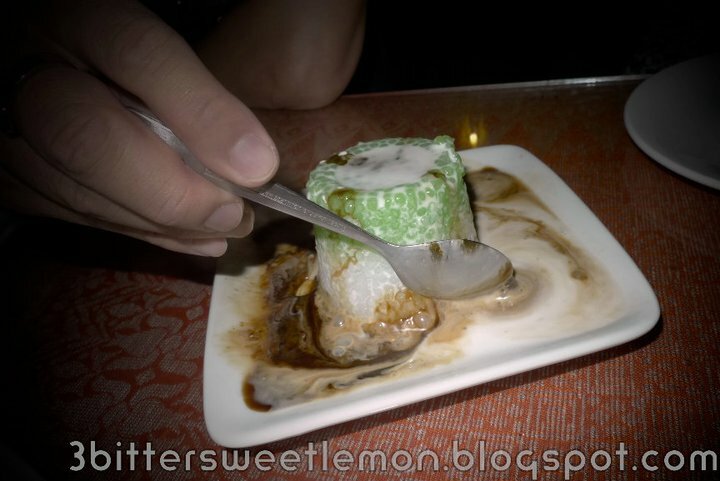 Here at Songket, you have fun playing with your sago melaka. 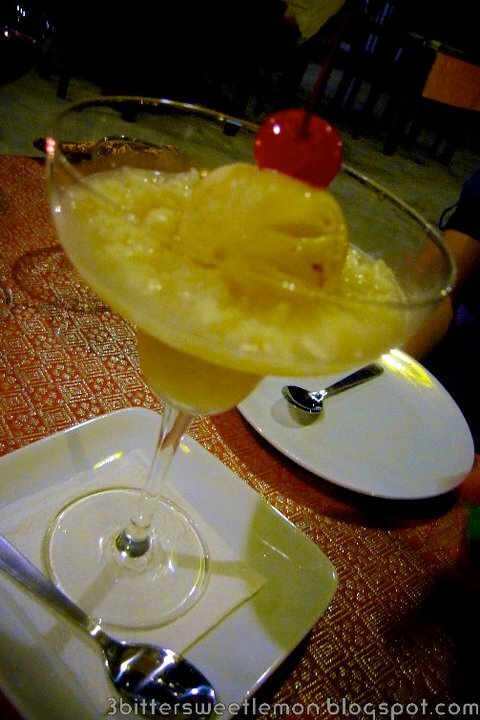 The chilled sago is in a mini pool of coconut milk and palm sugar syrup (gula melaka). You stir the coconut milk and gula melaka together controlling the amount of sweetness or creaminess of coconut milk as you like. I was a happy girl that night. My dinner of the lovely Malay dishes, delectable desserts and wine drove my flu and sore throat away:D Now to plan my next trip to try the other dishes. The last week or so, we heard many gripes and complaints on the timing. Well this evening Energizer Malaysia released another official statement on this matter. I've attached a copy of the said official statement from Energizer Malaysia. And also the amended results for all 4 categories. 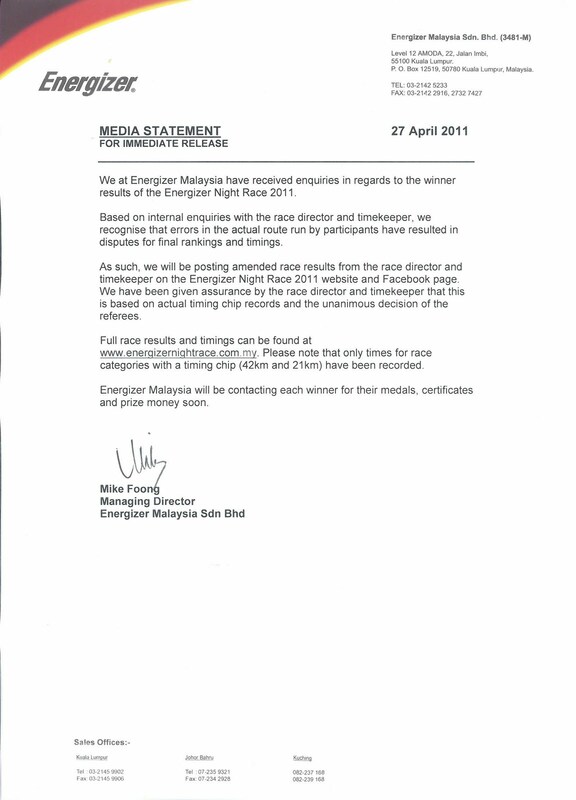 The said statement and results can also be viewed at the Energizer Night Race 2011 website and the event Facebook page. (i)	Based on the complaints and enquiries that were forwarded, Energizer Malaysia after discussions with the race director and timekeeper, realised that errors in the actual route that the runners ran resulted in disputes and rankings. (ii)	Thus new rankings and timings have been released. These are based on the actual timing recorded by the timing chip records and with the unanimous decision of the referees. Note that the chip records are only available for the 21km and 42km runs. 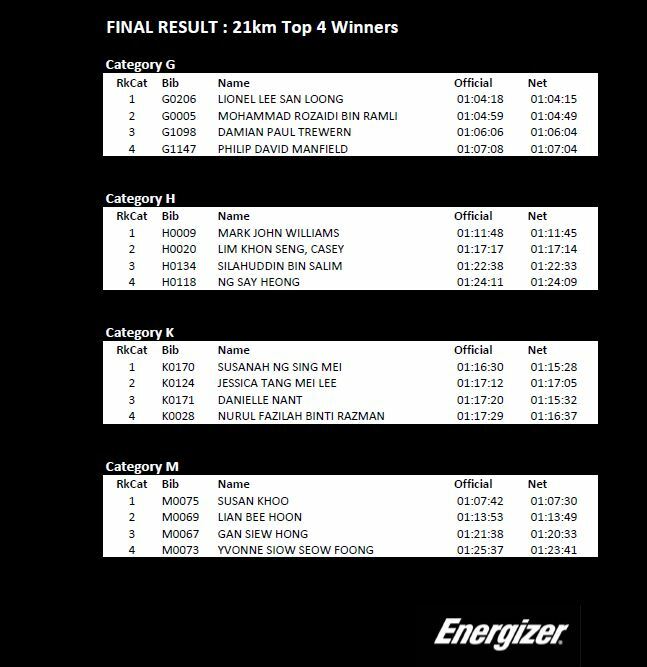 (iii)	If you're a winner as listed on the latest results, Energizer Malaysia will be getting in touch with you with regards to your medal, certificate and prize money. My name obviously didn't appear on the list. 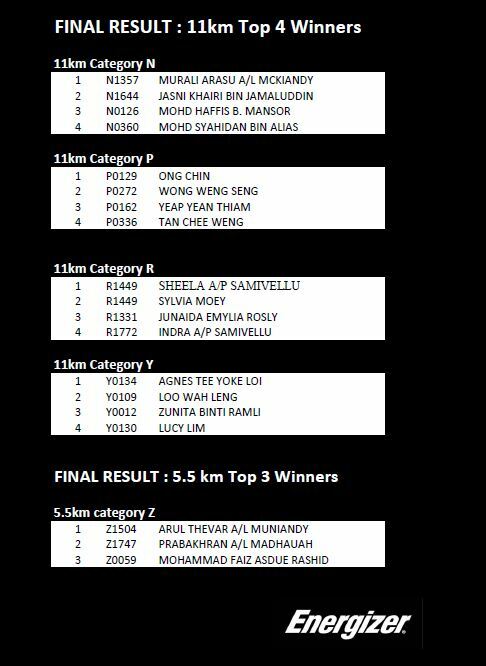 I did my 11km in 1 hour and 20 minutes:P For the winners, congratulations! And for the others, let's train harder for future races. I chanced on one of the following videos that a friend shared on Zlwin performing some magic tricks (I love watching magic tricks:D) Then discovered that I can also win myself a stylish Samsung Galaxy Ace just by watching Zlwin perform his magic tricks. As they say, all good things must be shared. So folks, this all you need to do be in the running of 1 of the 6 units of the Samsung Galaxy Ace. 2)	Answer one simple question that accompanies each video. Easy peasy right? So what are you waiting for? • Question: How did the phone come to life? • Watch the video and listen carefully! • Question: How many times did Zlwin mention the word "camera" and if you win, how will you use your Ace? • Post your answer here and get as many friends to 'LIKE' your answer. 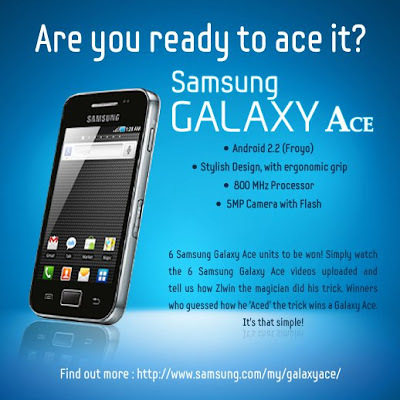 ###The Samsung fan with the correct answer and the most 'LIKE' wins a Samsung Galaxy Ace! • Question: How may times was the lighter flicked in the video? • Complete this slogan "Galaxy Ace light up my life because…." • Post your answer and slogan here and get as many friends to 'LIKE' your answer. ###The Samsung fan with the correct answer and the most creative slogan wins a Samsung Galaxy Ace! Bad news: Contest closes on 30th April 2011. So hurry up! 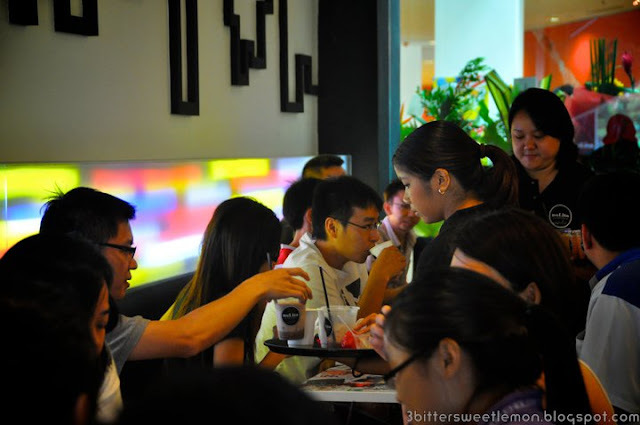 Both Expose Media and Energizer Malaysia made their official statements on Monday. Now Energizer Malaysia has come out with another official statement ahead of the promised Friday 22 April 2011. 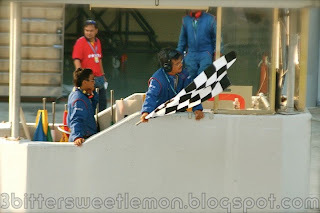 So folks, you have to give them some credit for expediting their action to remedy all damage, discomfort, anger, inconvenience etc that we each had endured during the Energizer Night Race 2011. (1)	Energizer Malaysia as the title sponsor is taking over Expose Media's prior undertaking to commitment to distribute certificates, medals, finisher Tshirts, headlights and a complimentary gift to all registered participants of the race. (2) Energizer Malaysia also confirms full refund of the registration fees to all registered participants of the Energizer Night Race 2011. (3)	The refund will be issued via cheques based on original registration details. Note that the refund cheque will be sent out separately from the certificates, medals, finisher Tshirts, headlights and a complimentary gift. (4)	Refund is made based on your registration details that was submitted when you registered for your race. • In the event your details have changed please update your new mailing address via http://183.81.161.83/racekit/SelfServiceLogin.aspx . 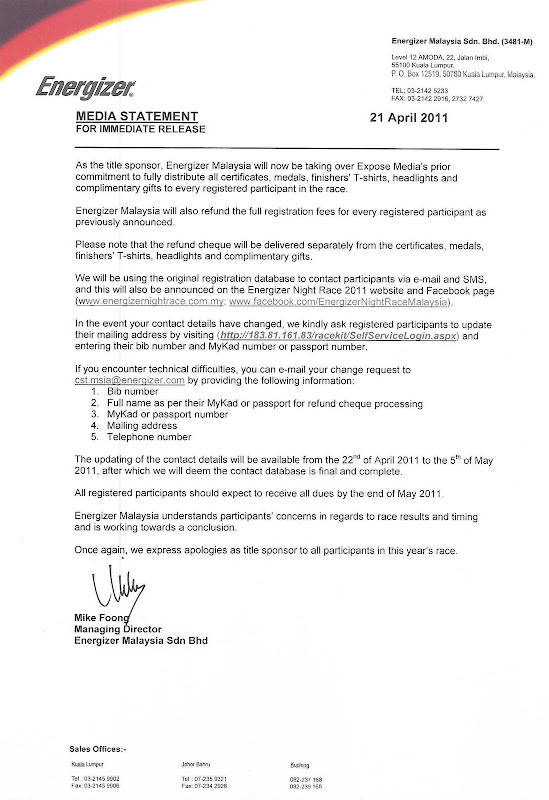 You must enter your Bib numner and your Mykad / passport number. Updating of your contact details will be from Friday 22nd April 2011 to Thursday 5th of May 2011. Thereafter all contact database is assumed to be final, correct and complete. (4) Fret not, you will be contacted via your email or sms. This will be also announced in Energizer Night Race 2011 website and the event Facebook page. 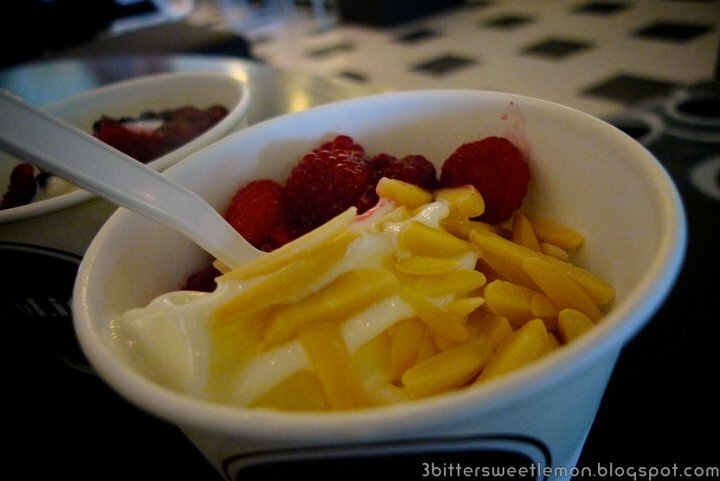 (5)	Each of us should expect to receive all dues by end of May 2011. (6)	Energizer Malaysia has also mentioned that they are working towards a conclusion of the race results and timing. My last check on the website at 6:46p.m. 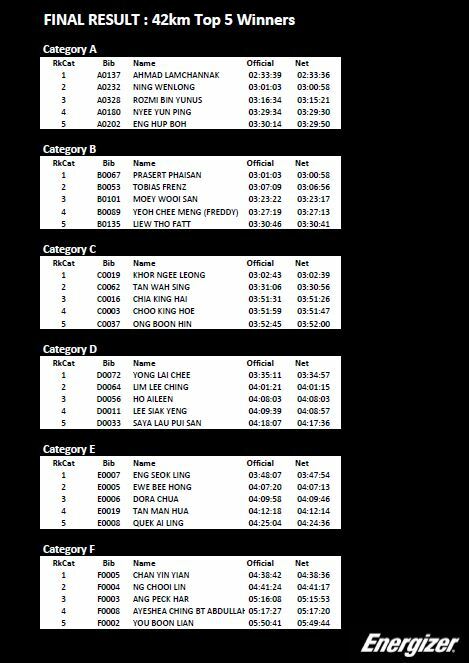 shows that there are some results posted up for the 42km run. Alternatively you can also check your results by entering your Bib number. Conclussion: Think we should all now be pacified. Let's not waste anymore energy being angry with Energizer Malaysia nor Expose Media. Might well channel the energy and time to train for your next run. 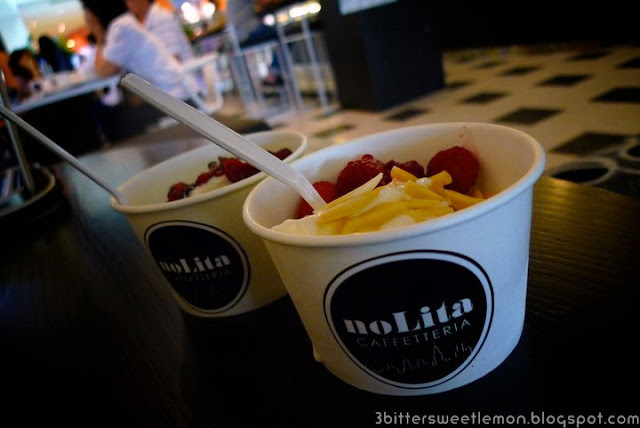 NoLita is a neighbourhood in Manhattan and basically stands for North of Little Italy. Nope, I didn't make a trip there (I seriously wouldn't mind it though). 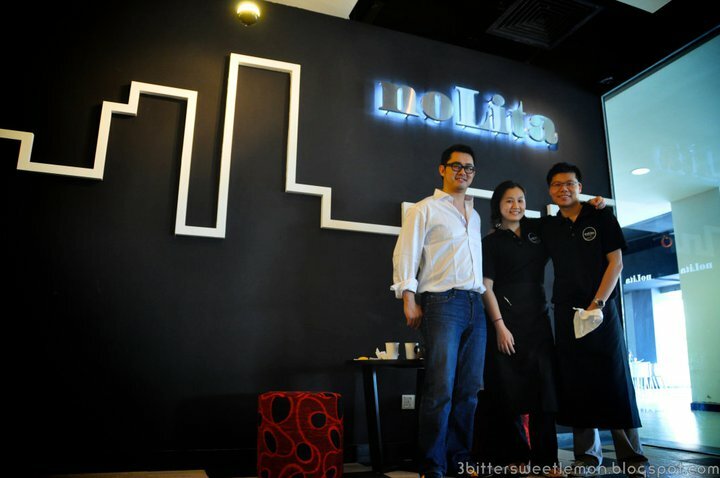 Instead, NoLita is now in Malaysia. 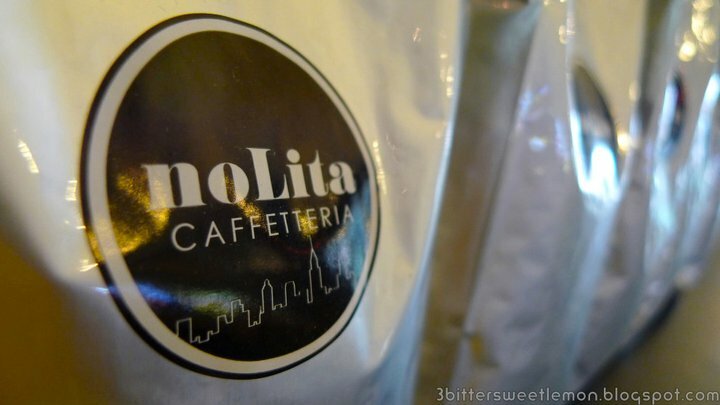 NoLita Caffeteria is here in the newly opened Viva Home Mall. Opted to carbo load since it was the weekend plus I was running that night. 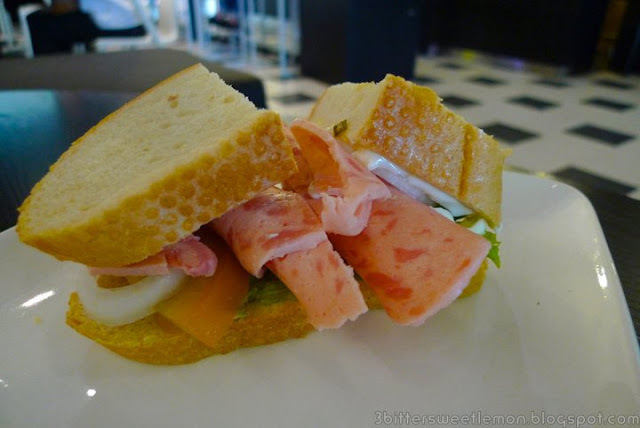 We chose a turkey ham sandwich @ RM9.90 and a chicken ham @ RM8.90. 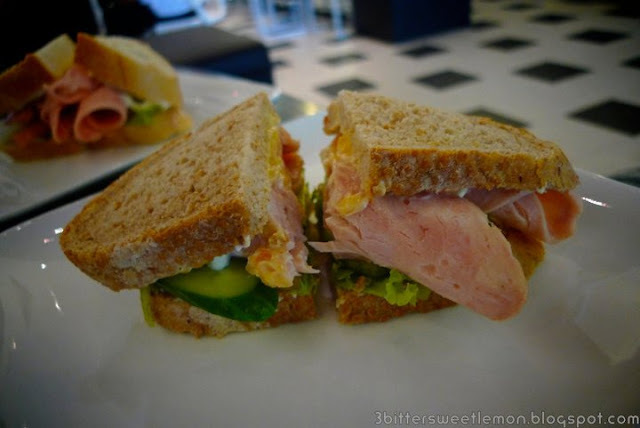 As we were busy chatting and taking pictures, I half expected my sandwich to taste blah. But I was surprised that the lightly toasted bread were still yummy. Not soft or soggy despite the dressing and vegetables. 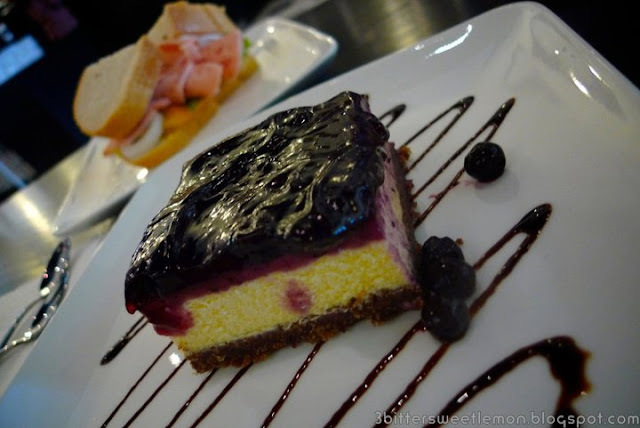 Dessert was their signature blueberry cheesecake. 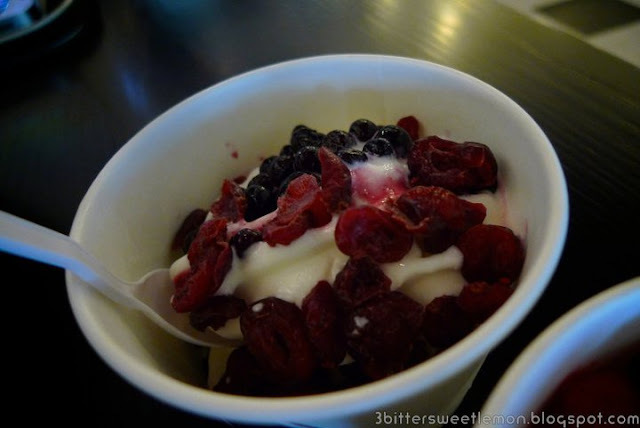 This was so good that hubby left with me only 1 tiny bite the size of a 10 sen coin. Evil man! I was told that NoLita have their own brew of coffee beans. So we opted for coffee. Plus a little caffeine is always good before an endurance sports event. 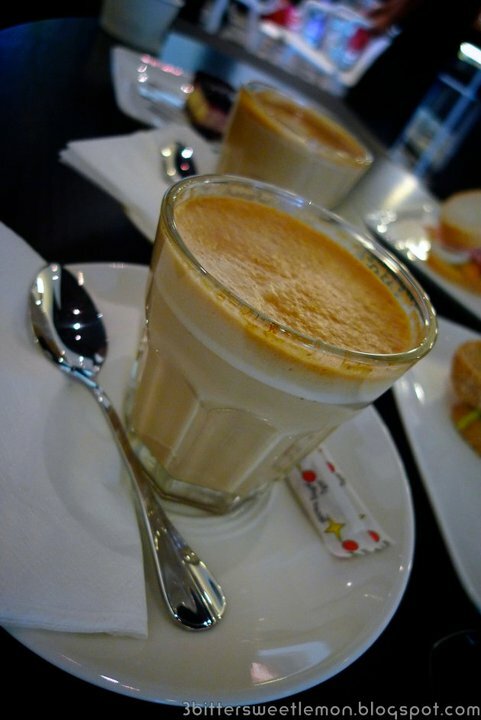 So we each had our coffee @ RM7.50 each. 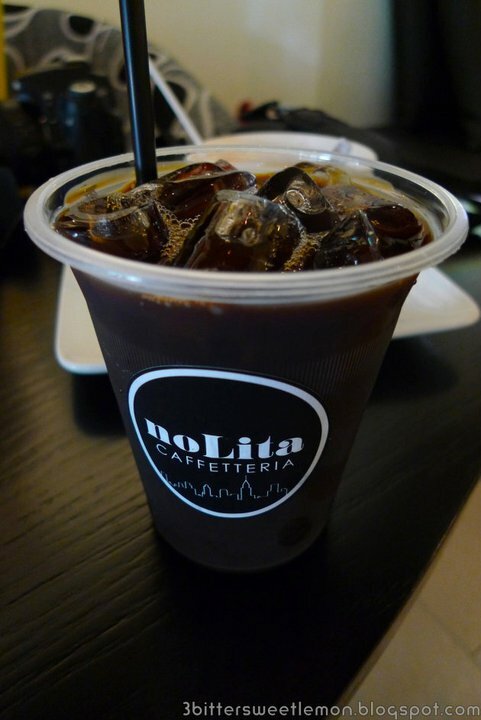 And because it was their soft launch, we were treated to an iced black coffee that hubby loved so much. Yeah yeah the man finished it all and left me with just a tiny sip. Dare You Try Durian the King of Fruits? I heart Central Market Toilet!! !